President Obama’s second-term White House is still in transition, with Ray LaHood out and rumors of an NTSB replacement, Sally Jewell likely in as Secretary of Interior. 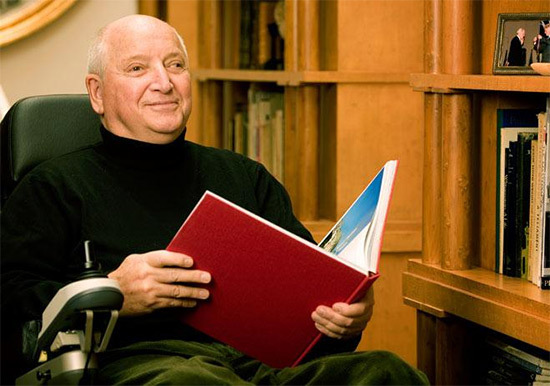 Among the non-Cabinet-level appointments, the President appointed Michael Graves to a member of the Architectural and Transportation Barriers Compliance Board, an agency “devoted to accessibility for people with disabilities.” Graves, who uses a wheelchair after an illness-induced partial paralysis, has been a leader in promoting accessibility in architecture, recently designing prototype houses for wounded and disabled veterans. This month, Graves will also be launching a new line of more than 300 products at retailer J.C. Penney, including kitchen appliances, candlesticks, and a toaster shaped like a piece of toast. The Indianapolis-born architect will return to his hometown on March 28 to give a lecture at the Indianapolis Museum of Art, and he recently spoke with the Indy Star about delivering papers for the publication as a child, architecture, and the new product line. An exhibition of Graves’ work, From Towers to Teakettles, is also on display at the Virginia Center for Architecture through March 31.